Community Outreach Ministry helps you put your beliefs into action as you discover God's heart for our neighbors. As a church family, we combine our unique gifts, time and finances to provide ministries that meet the needs of others, build community and encourage gospel conversations. If you find yourself in a season of need, we'd love to help lead you to resources. The food shelf exists to help those experiencing food insecurities. It is supported by volunteers throughout the week. Learn more. We serve the inmates of the Hennepin County Jail and the Plymouth Work House through gospel-centered Bible studies and life skill classes. Learn more. Knitters & Stitchers meets weekly to create handmade items for those in need in our community. You don’t have to know how to sew, knit or crochet—a teachable heart is all that is required. All are welcome. Donations of cotton fabric and yarn accepted. Contact Karen Behm at 763-509-9833. This outreach initiative to North Park Plaza, a senior housing complex in New Hope focuses on giving residents an opportunity to make homemade items and serve the community. Contact Karen Behm at 763-509-9833. Each December, this event is designed to encourage families from the HopeBridge Food Shelf and the Encouraging Single Moms Care Group. There are opportunities for you to help. Learn more. When you need additional support during a time of need, check out these local community services. Learn more. 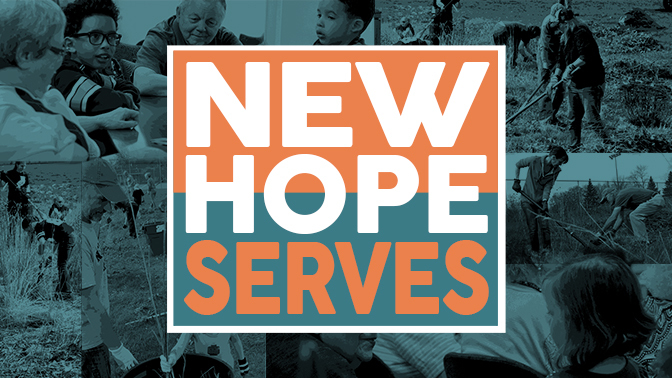 Apply for a volunteer role to serve through Community Outreach Ministry. Learn more.